A Cold Flame is the second book in a series by Aidan Conway featuring Detective Michael Rossi. Following on from A Known Evil, it has just been released in e-format with Killer Reads (Harper Collins). Set in the heat of an Italian Summer, A Cold Flame is a very relevant read for our times. The second book in this series and, having finished it recently, I would recommend that you consider reading A Known Evil (Book 1) first. Set in Rome the series focuses in on Detective Michael Rossi, a nonconformist in the police force, who gets the results, but by following his own rules. Meanwhile the defaced and mutilated body of a priest is discovered, with no apparent reason for the attack, but with such violence displayed, it’s clear that this is an act of extreme hate. As Rossi and Carrara are about to discover, Rome is on the verge of imploding. A terrorist group are intent on wreaking havoc on the Eternal City, the home of Catholicism and all that it represents. The pair have their hands full as they jump between the three cases trying to establish a link and hoping to prevent any further violence on the streets of the capital. Detective Rossi carries the weight of the world on his shoulders and takes it all quite personally. This is his city. This is his territory. He has issues in his own life with his girlfriend as their relationship teeters on very shaky ground but Rossi is a man very focused on the job at hand, pushing his personal life to the side. As a bomb explodes outside the Israeli College, Rossi and Carrara find themselves in a race against time against an enemy that they cannot see. Rome is a political hotbed as corruption is rife across all of the establishments. There is only one person that Rossi feels he can trust and that is journalist Dario Iannelli. Iannelli is currently in a witness protection program, having been involved with a Mafia related exposé, but continues to investigate crime, extortion and nepotism from a variety of secret locations. Ianelli still has his contacts and Rossi now needs his assistance. As the pieces start to fall into place, Rossi’s fears become a reality as the enormity of a very chilling and complex plot against Rome and all that it stands for, is uncovered. Aidan Conway has made Rome his home and it’s clear from his writing that he has researched the hierarchical structure of the political and religious authorities. 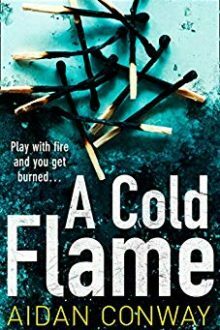 A Cold Flame is more than just a crime novel. It takes the reader behind the glossy veneer of the establishment, revealing scandals and shocking behaviour. 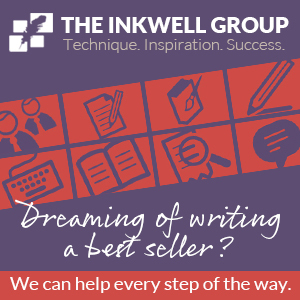 I have to admit that I did struggle at times as there are quite a number of individual and quite sophisticated story lines running through the book. You do need to concentrate and keep your focus so pick your moment. All these complex strands do come together as the full scale of the plot against the Italian ‘La Dolce Vita’ is unveiled. I know I often refer to bringing a book to the big and small screen but I do really believe that Rossi and Carrara would make for a great TV series. With the stunning Italian backdrop, this gritty series, with all it’s complexities and thrilling story-lines, is surely the perfect combination!